Now, for the first time, fastener manufacturers can actually demonstrate the resistance to self-loosening behaviour of their bolted joints, live and in front of their clients. Esbjerg, Denmark – Tuesday 2nd October 2012: For the first time, fastener manufacturers and distributors can witness live demonstrations of fastener Junker Tests to DIN 65151. They’ll be taking place throughout this year’s National Industrial Fastener & Mill Supply Expo in Las Vegas. Vibrationmaster’s booth, number 1050 in the Machinery and Tooling World space at the Sands Expo, will feature two J100 portable Junker Test bench demonstrators running vibration tests on a range of manufacturer’s fasteners to determine their self-loosening behaviour. The Vibrationmaster J100 Junker Test Bench Demonstrator can test fasteners in ISO metric M5 to M12 and UTS sizes #10 to ½ inch to DIN 65151, with fastener changes taking as little sixty seconds. An added advantage is the unit’s portability: at 25kg (56lb) it is easily transportable and runs off a standard mains electrical supply. The test rig chassis is made from high-strength aluminium with optional leather-bound handles and covers that can be custom-built, incorporating company logos, and are available in carbon fibre. The J100 has a handheld tablet with preinstalled software that can be used to demonstrate the test results and loosening curves of fasteners in real time. Vibrationmaster is an innovative and energetic test equipment technology and product development manufacturing business. 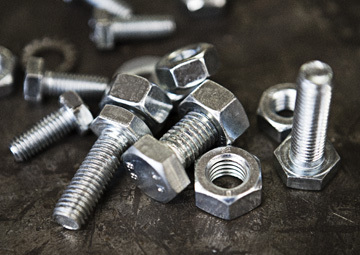 Operating globally and across multiple industries, it offers test solutions to organisations seeking innovative, market-proven equipment to test the reliability of fasteners and other products and make them safer. Vibrationmaster brings together a unique combination of technological innovation and inventiveness, entrepreneurial drive and business acumen, plus decades of in-depth sector knowledge and experience. Customers span the commercial, academic, research, public, government and not-for-profit sectors. The Vibrationmaster logo, photographs of the J100 Junker Test Bench Demonstrator, and pictures of CEO Morten Schiff, are available from Morten Schiff (see ‘Contact details’), or directly from Vibrationmaster’s Media centre at vibrationmaster.com/media-centre. This press release has been emailed to you by Vibrationmaster Technology Centre s.à r.l.. Please let our data protection officer dpo@vibrationmaster.com know if you would like it sent to a different email address. If you wish to forward it to another member of the media, please feel free to do so. If this communication is unwelcome, please accept our sincere apologies and reply by email with the word “REMOVE” in the subject line.